Delhi–Dharamshala-Dalhousie-Khajjiar-Dalhousie and back to Delhi. Pathankot-Dalhousie-Khajjiar-Dalhousie-Dharamshala-Mcleodganj and back to Pathankot. Pathankot - Dharamshala/Mcleodganj - Manali - Kullu - Manikaran - Rohtang Pass Shimla and back to Pathankot. Dharamshala and Dalhousie are famous hill station in Himachal Pradesh, India. Dharamshala stands at the foot of Dhauladhar and has a magnificent view of snow peeks, deodar and pine forests, tea gardens and beautiful hills. Dharamshala now really has become international, with a number of Tibetan settlements and the residence of Dalai Lama. 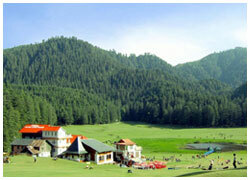 Dalhousie also famous for its natural beauty. Incredible Himachal Holidays offers you best Dalhousie tour Package, Dharamshala Dalhousie Tour Packages, Manali Dharamshala Dalhousie Tour Package, Dharamshala Tour Package and All Himachal Tour Package. View Dharamshala Dalhousie Tour Package iternary. Himachal Pradesh is a paradise for peace lovers. There are various hill stations in this station. Dalhousie and Dharamshala are the two main places of this state. Dharamshala is famous as home of Dalai Lama. 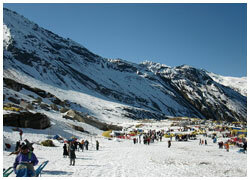 Various types of Travel and tour packages for Dalhousie Dharamshala are offered by travel agents on affordable cost. The Dharamshala and Dalhousie tour packages offer the tourists not only the visiting attractions, but also accommodation as well as travelling amenities within Himachal Pradesh. 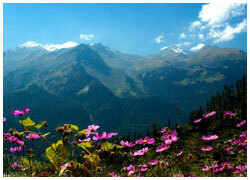 If you have planned a tour to Himachal Pradesh, then do not miss any chance to visit Dalhousie and Dharamshala. 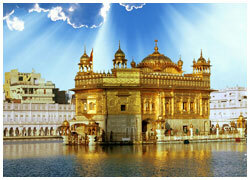 These two places are among hot spots of India. Tourists prefer to visit the quiet, calm and serene parts of these two cities. 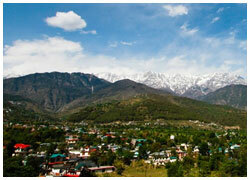 During Dharamshala and Dalhousie tour, you can experience the tranquility of the state. 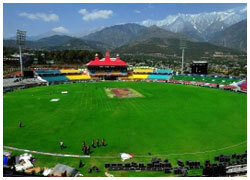 Dharamshala & Dalhousie is a beautiful hill resort snuggled in the arms of Himachal Pradesh. Its picture perfect setting allures tourists from different nooks and crannies of the globe. Our Dharamshala Dalhousie holiday tour packages allow you to witness the splendor concealed in every corner of this hill station. Right from the gushing Satdhara Falls to the firmly standing Dainkund Peak (the highest mountain of Dalhousie), we take you to all those destinations that define the Dalhousie Dharamshala tour at its best. Moreover, our Dharamshala Dalhousie hill station packages are tailor made to suite the pockets of different clients. We ensure that you grab the best travel deal at best price. Not just this, many of our Dalhousie Dharamshala tour packages also let you explore various nearby attractions like Khajjiar, Mcleodgunj, Dalai Lama Monastery and Bhagshunath Temple, Chamba, Bharmaur, Chhatrari and a lot more.